If he is not stupid, Mar Roxas is crazy. Roxas eats rice from a cup and drinks water from a plate, said Davao City Mayor Rodrigo Duterte, presidential candidate of the opposition Partido Demokratiko Pilipino (PDP) in the May election. This assessment of Roxas, the standard bearer of the ruling Liberal Party, was dished out on January 30, Saturday, by Duterte as he twitted the latest television advertisement of Roxas. He’s claiming he’s no drama, but if he is not crazy, he ate rice in a cup. How stupid can you get? A cup is for water, a plate is for eating rice, Duterte said in an interview by Manila Standard. If he does not really engage in drama, he should not be in that commercial to begin with, according to Duterte in the Manila Standard report. Roxas is all drama, said Duterte. 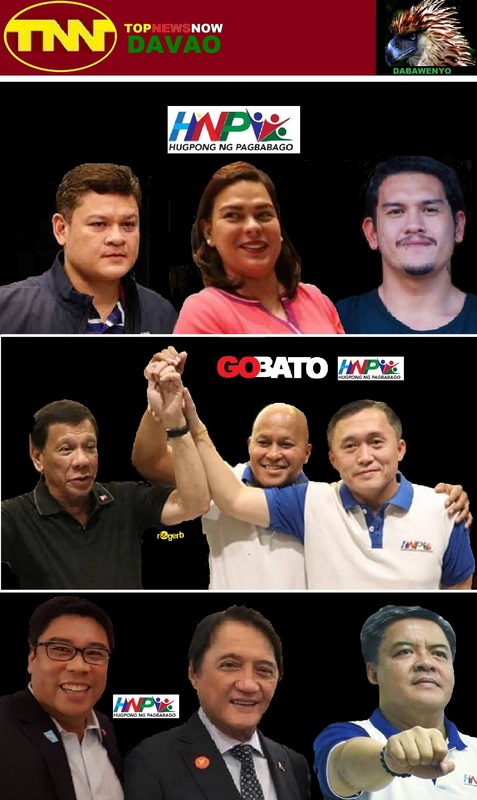 Duterte and Vice President Jejomar Binay are the front runners in pre-poll surveys for presidential preference in a 5-corcered race that includes Roxas, Senator Grace Poe and Senator Miriam Defensor-Santiago. Roxas going loco by eating rice from a cup and drinking water from a plate may only be the least of the ‘dramas’ of Roxas, who has been faring badly in surveys of the Social Weather Station and Pulse Asia. Duterte earlier said Roxas is incompetent and could not stand stress as shown by his action as then Interior secretary after super typhoon Yolanda devastated parts of the Visayas in 2013. Duterte recalled how Roxas resorted to drama in the aftermath of the tragedy that killed thousands and rendered nearly a million people homeless. What is he saying that he’s not up for drama? I was there on Day 2 of Yolanda. He was there during the storm but Mar, at that time, was not in his element. He looked like a zombie who didn’t know what to say, so he made monologues all the time, Duterte said in the Manila Standard report. “The problem with the former Interior Secretary is he’s tormented. I could just surmise that he’s very scared [during Yolanda] so what he did there all the time was to do monologues,” Duterte said. Indeed, Mar is crazy. and Melki Bando is Mar.